Hubby and I took a little drive after a scrumptious Father’s Day lunch yesterday. I wish someone would pay me to do this full-time. I love the little surprises that present themselves. I have nothing against dumpster diving. But what caught me off guard was this lady was talking quite expressively to no one. Hence the, “Stop the car” to hubby. Thank goodness for a great zoom. 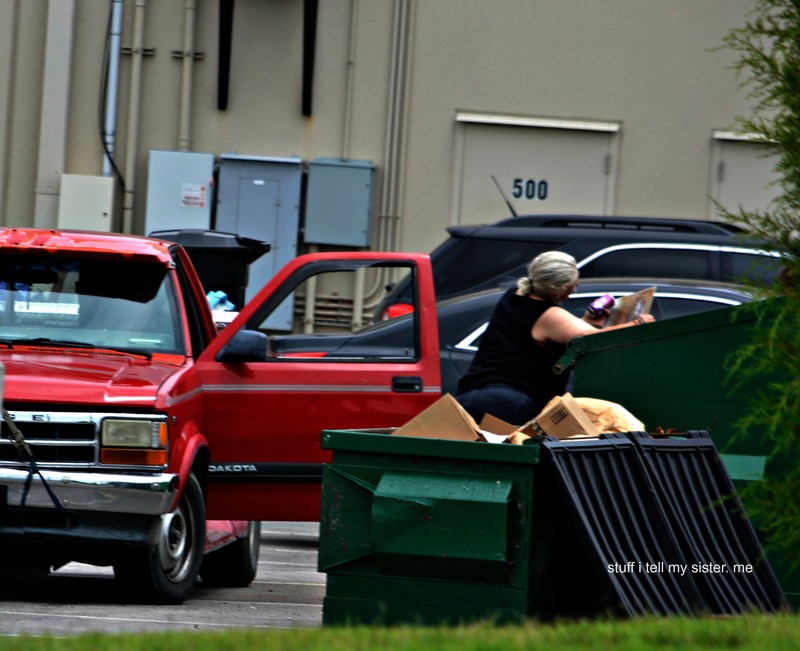 Oh…of course….the guy inside the dumpster! What a relief when this man’s head popped up out of the dumpster. I think. I mentioned to hubby that I thought dumpster diving was okay, but that I would never want to be the one inside the dumpster! I should not have asked the next question….. “You haven’t ever gotten inside a dumpster, have you?” Silence. More Silence. Then ~ “Nope. I just lifted the kids over.” One day they may need therapy. 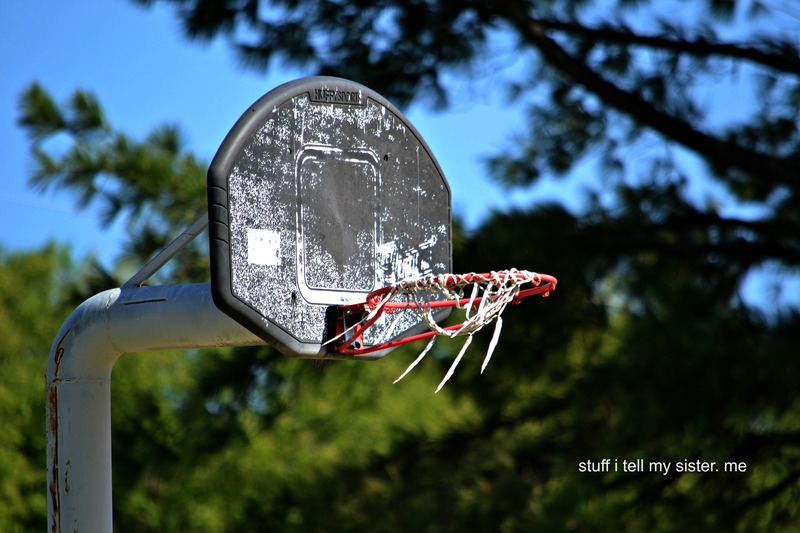 This entry was posted in Intrigued, Oklahoma, random photos, Uncategorized and tagged basketball goal, drive by, dumpster diving, noted, old sofas, old tire shop, out for a drive, random, Silliness, Sticky note car. Bookmark the permalink. I love your collection of odd pictures and captions! 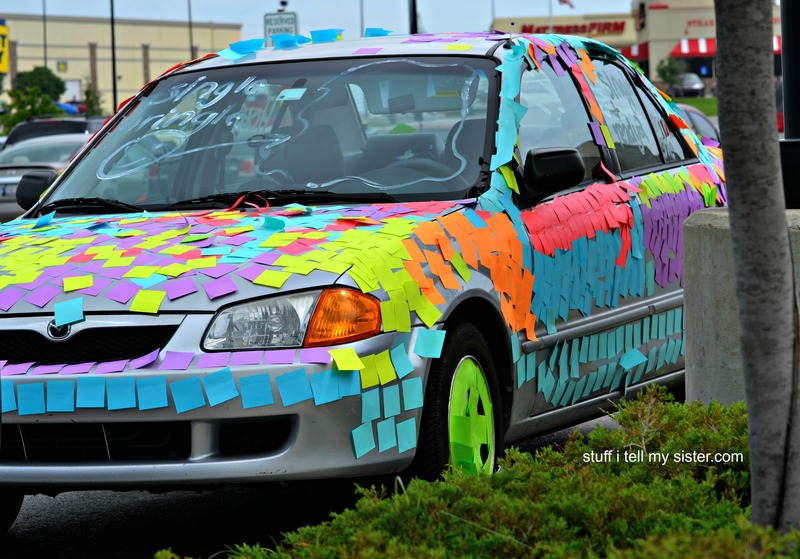 I love the picture of the car with sticky notes all over them. We thought it was TOOOO funny! Can you imagine what fun they had doing this? It was parked at a J.C. Penney’s! ha! That got me laughing! Great post! When I was 13 we moved near a Howard Johnson restaurant bakery/warehouse. On Friday and Saturday nights the younger kids were the dumpster divers (for the 16+’ers), and we would retrieve all the out-of-date baked goods, fruit, and eggs; and then have major food fights that spilled over onto the neighboring establishments. My father used to go dumpster diving. OMG! The “treasures” we found after he died. 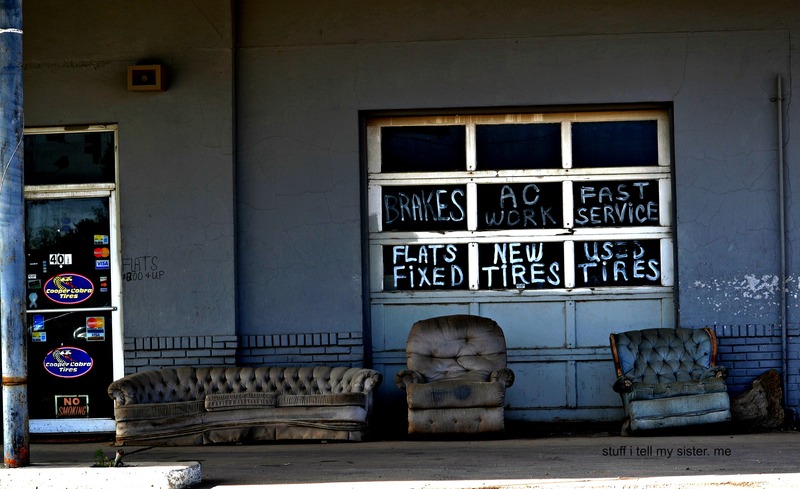 He always said you may find some good “junk”!. I can’t quite read what the post-it-note windshield says. “Single …..?? ?” I have no aversion to dumpster diving but I don’t want to be CAUGHT at it. 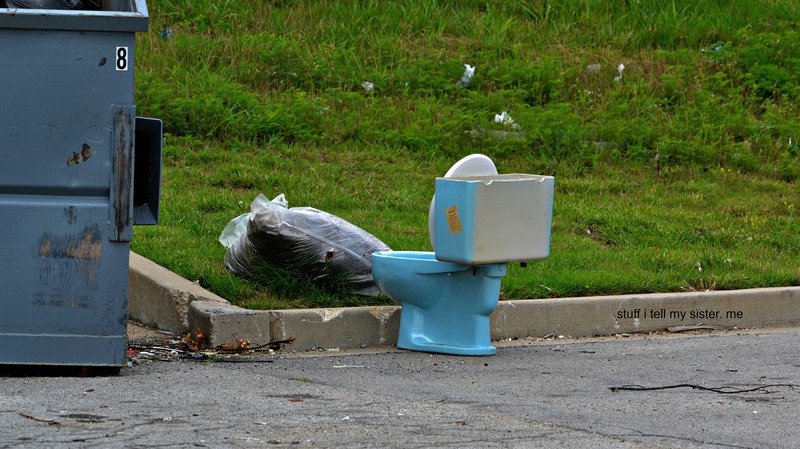 So most of my dumpster diving is done on Craigslist FREE. I got some freshly cut bamboo and a range hood for Poppie’s house. Not exactly certain what the windows said…probably safer that way! I haven’t had any adventures lately. Not that I could print, anyway. When I do something unbelievably stoopit, I’m too embarrassed to tell anyone. Haha!!! Am with you on that!! You are so good at making me laugh! Now YOU make me laugh! haha…. It was a super windy day and as we drove away we noticed bright little “notes” scattered down the road!